Proposal Kit for several years now. It has helped tremendously in creating professional documents for clients. I highly recommend this for anyone that needs help creating professional looking proposals and contracts." This Exhibit C (Developer Materials) is included in editable Word format that can be customized in Word or by using the included Wizard software. 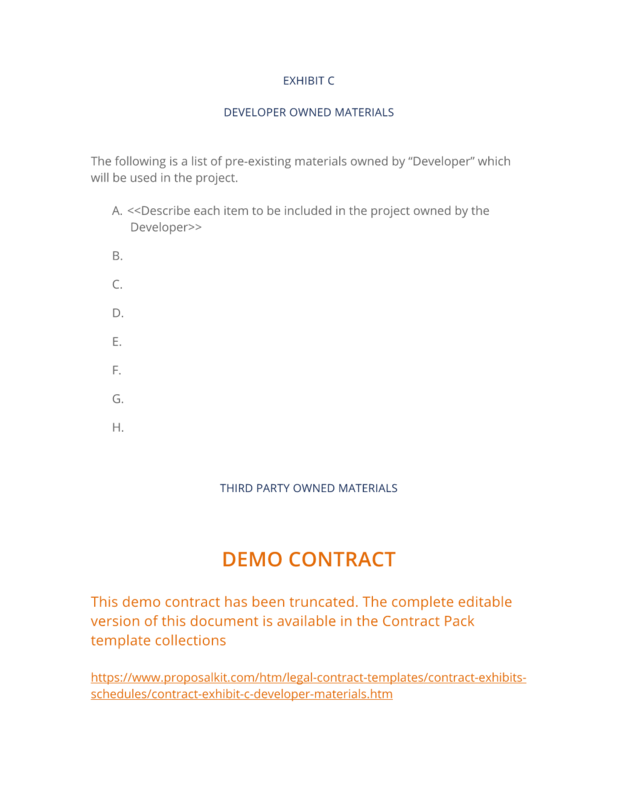 The complete Exhibit C (Developer Materials) - with the actual formatting and layout - is available in this Contract Pack.